Does your organization have a clear sales enablement strategy that's aligned with your customer’s journey? According to my guest for this podcast conversation, Tamara Schenk, you’ll experience more sales wins if you do. Tamara is Research Director for CSO Insights, the research division of Miller Heiman Group. She's focused on global research regarding all things sales enablement, CX, and sales effectiveness. 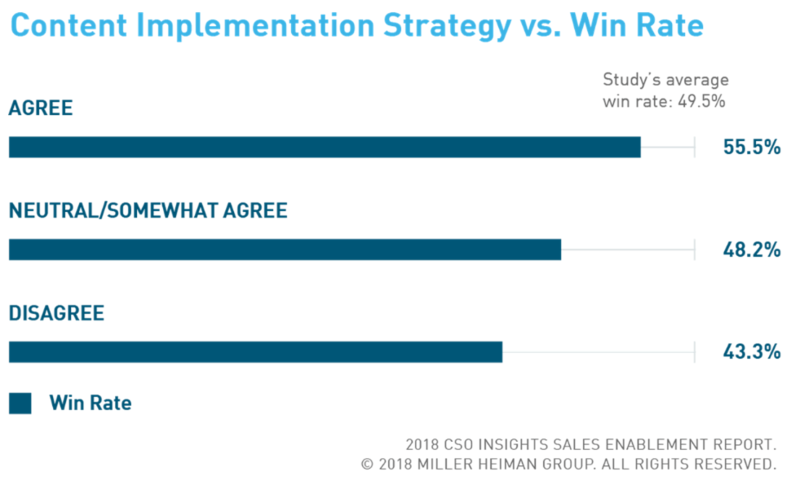 The book she's co-authored along with Miller Heiman Group CEO Byron Matthews, “Sales Enablement – A Master Framework to Engage, Equip, and Empower a World-Class Sales Force,” provides incredible insight into the value of effective sales enablement. What Is The Role Of Sales Enablement In Modern Sales? In order to engage in this topic effectively, let’s begin with a definition of the term, “Sales Enablement.” Tamara says it’s a strategic, cross-functional discipline with the goal of increasing predictable sales results. It does this by providing scalable enablement services such as training, content, coaching, and a variety of tools for customer-facing professionals and their managers. This enables them to serve as relevant and valuable sources of expert knowledge in every buyer interaction. As you can see, sales enablement is a focused role that seeks to equip all members of the sales team with key understanding of the buyer’s journey. In order to be effective, it requires clear insight into the buyer’s needs, and the various roles buyers play in their organizations. That means sales teams need to adapt their sales approach so they can meet the buyer where they are and how the buyer wants to engage. It’s a process that relies heavily on the type and quality of content they have at their disposal. The creation and distribution of that content is one of the major responsibilities of the sales enablement team. Through the research of customer personas, the enablement team creates content aimed at various stages in the buyer’s journey. The sales team uses that content to serve the buyer in relevant ways. Blog posts, podcasts, and media of various sorts are used to gain trust, build credibility, and carry the conversation in ways that directly address the buyer’s needs and questions. But that’s not everything we mean when we refer to “content” produced by the sales enablement team. There is also internal enablement content the customer never sees but that serves as vital tools to make sales teams more effective. Tamara mentions things like playbooks, comparison guides, objection guides, solution configuration tools, pricing tools, and closing/order templates as some of those possible resources. Does a clear content strategy exist in your sales organization? If so, you’re in the minority. Tamara says that onlya third of organizations have a clear, relevant content strategy in place. To be clear, we’re talking about a plan to create and use specific content that addresses questions and needs buyers have from the beginning of the customer journey all the way to the close of the deal. It’s content that helps to evolve the relationship with the buyer in valuable, relevant, and unique ways. The impact of having a clear content enablement strategy in place is huge - companies with a clear content strategy experience a 55% win rate as compared to 43% win rate for organizations without one. As you can see, it makes sense to organize content creation and management to achieve better sales results. But be careful: Just because an enablement team creates content resources, that doesn’t mean the sales team is automatically going to know how to use them. Training is required to make the best use of the resources. Tamara recommends you champion the members of your sales team who have been highly successful - empower them to record short videos showing how they use the content assets in various buying situations. Don’t let it get too complicated, just focus on things that will be practically helpful to your team.